The Village Council meets on the 2nd Tuesday each month. If you would like to contact a Village Council member or attend a meeting, send us an email at vww4info@gmail.com and your question will be forwarded to the appropriate person. Marie has been with Village Without Walls since 2015. Her attention to detail and ability to manage multiple forms and inputs has been critical to her position as Membership Chair. Her continued desire to be a good team player as been invaluable as membership functions across all teams in the Village. Her continued involvement with other Membership leaders, in Villages around the metro area, has also helped to more quickly solidify our membership recruitment process throughout our service area. 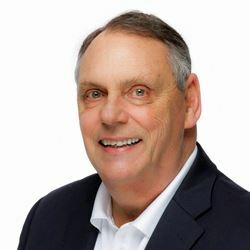 Bob is a long-time realtor in western Washington County. In his role at Weichert Realty, and as a knowledgeable community member, he has been invaluable to Village Without Walls in introducing our organization and our mission to the businesses around the area. He also frequently gives presentations about the Village Movement and specifically Village Without Walls to Chambers of Commerce and individual businesses and community organizations. Suzanne Smith was part of the original VWW planning group and on the first Village Council. 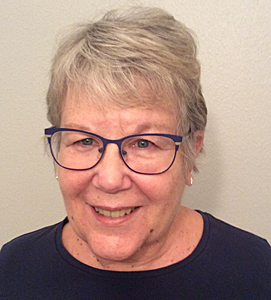 She is a retired realtor and elementary school teacher who has made Hillsboro her home for more than 42 years. Suzanne will focus on Outreach efforts. Barbara has been with Village Without Walls since 2014. She brings both technical and organizational skills while helping her team support the website and Club Express, edit and publish the newsletter, update Village social media, and provide marketing support for the Village. In her previous life, she worked in Information Technology as a business analyst, project manager, trainer and technical writer. Paul returns to the Village Council after previously serving on the Village Without Walls Planning group and Village Council from Oct 2014 to Feb 2016. He spent 35+ years in Project/Program management for banks and in healthcare technology. He lives in Hillsboro and also organizes teams & works with vendors to refurbish and maintain a 100+ year old church. While caring for her own parents, Diana found herself immersed in important and complex issues facing our senior communities. Certified in 2014 as an Aging in Place Specialist (CAPS). Diana is the owner of an interior design business focused on developing creative solutions for successfully Aging in Place. She has chaired a non-profit 501©(#) Foundation board, led fundraisers and served on site council. Now Diana is honored to serve as a volunteer Board Member for Villages NW. She lives in SW Portland with her husband after downsizing from their family home of 22 years. 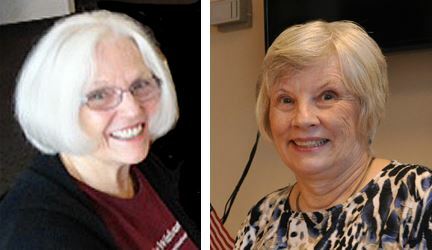 While no longer serving on the Village Council, these two strong women were the force behind bringing the Village to the Forest Grove and Cornelius area. They worked tirelessly to recruit members, hold events, and involve community businesses and government. They did it all with a smile and a willingness to keep moving forward in spite of any obstacles put in their path. It is their hard work that contributed to having the Village open with both basic and Members Plus services in this part of western Washington County.